Hey again, y'all! I had to pop in one more time today to let you know I'm guest posting. Bev from Flamingo Toes is hosting a really fun blog series called the Scrap Busting Extravaganza. When she contacted me about being part of the series, I had a mini craft-attack because I just love Bev's blog. She is the sweetest person and creates the best projects, so when I thought about that fact that lil' ol' me would be posting on her blog, well, let's just say I squealed a little. Of all the scraps that I have in my craft stash, my scrapbook patterned paper scraps came to mind when I was trying to come up with a project. 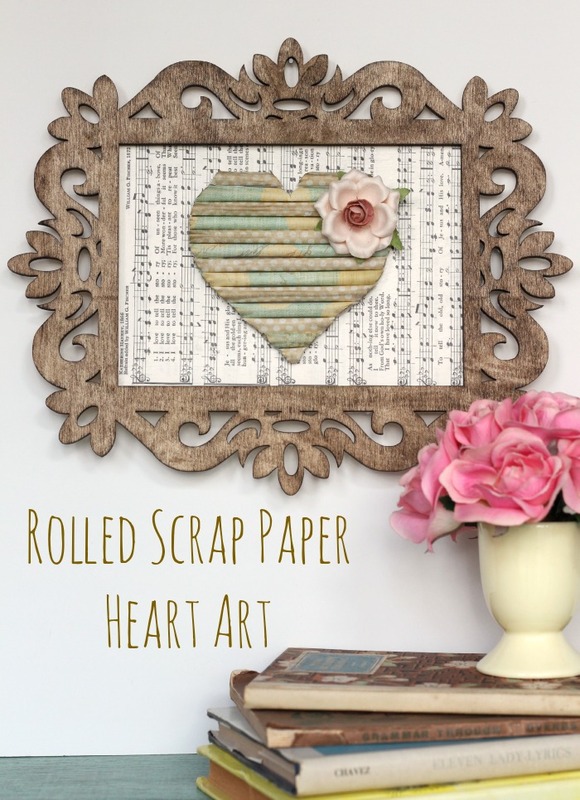 I ended up creating this fun Rolled Scrap Paper Heart Art as my contribution to the series, and I'm pleased with how it turned out. You can find the full tutorial HERE. I hope you'll hop over to Flamingo Toes and say hello!